It comes from Jillian at A Room of One’s Own. It was an invitation I couldn’t resist, and so I’ve made a list. 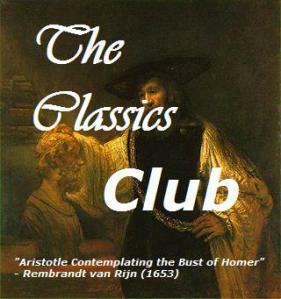 And I decided to allow myself just one book per author, so that The Classics Club can introduce – and re-introduce – me to as many authors as possible. There are a few re-reads – marked in italics – and there are one or two books I started and pushed to the side and need to start all over again. Just found this on your site – what a great idea. I’ve been ticking off the ones I haven’t read yet.